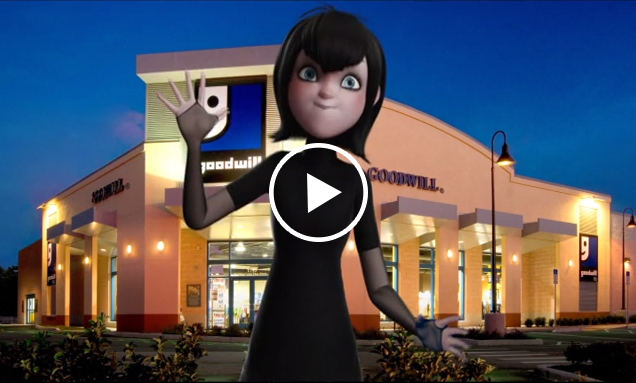 Goodwill Industries International is teaming up with Sony Pictures Entertainment for the release of the animated film, Hotel Transylvania 2, to encourage people across the United States and Canada to do their Halloween shopping at Goodwill’s more than 3,000 stores or online at shopgoodwill.com®. 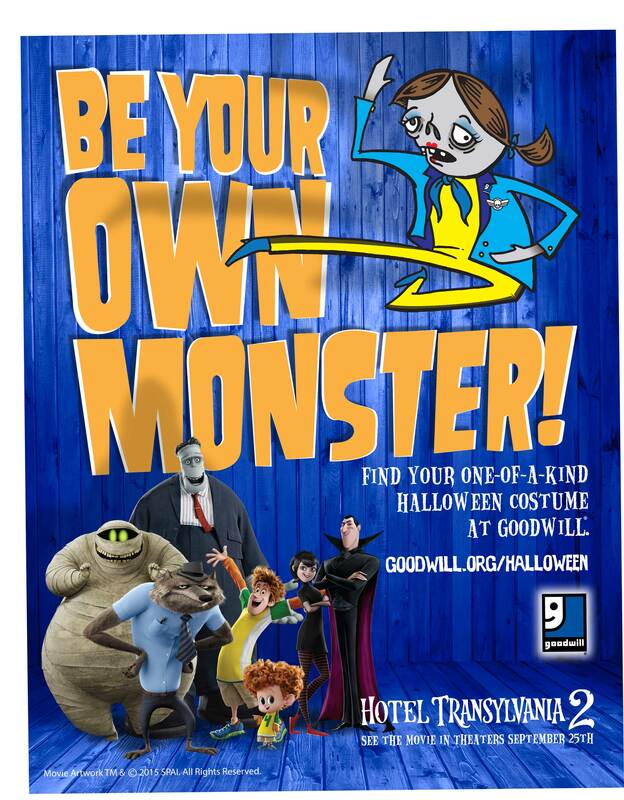 Goodwill and Sony Pictures unite with the message, “Be Your Own Monster,” urging consumers to make Goodwill their Halloween Headquarters for creating unique, affordable costumes -- even costumes based on one of the movie’s characters, such as Dracula, Mavis or Frank. When costume seekers shop at Goodwill, they help people in their communities get job training, earn jobs and access other community-based services. 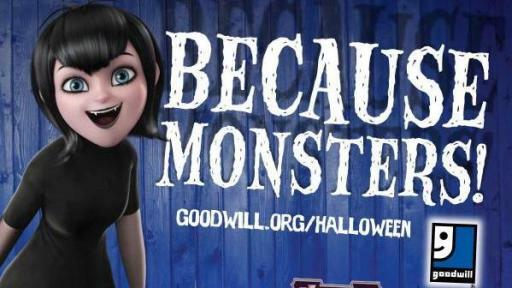 Sony Pictures Animation’s “Hotel Transylvania 2” will be released in theaters nationwide on Friday, September 25, 2015. 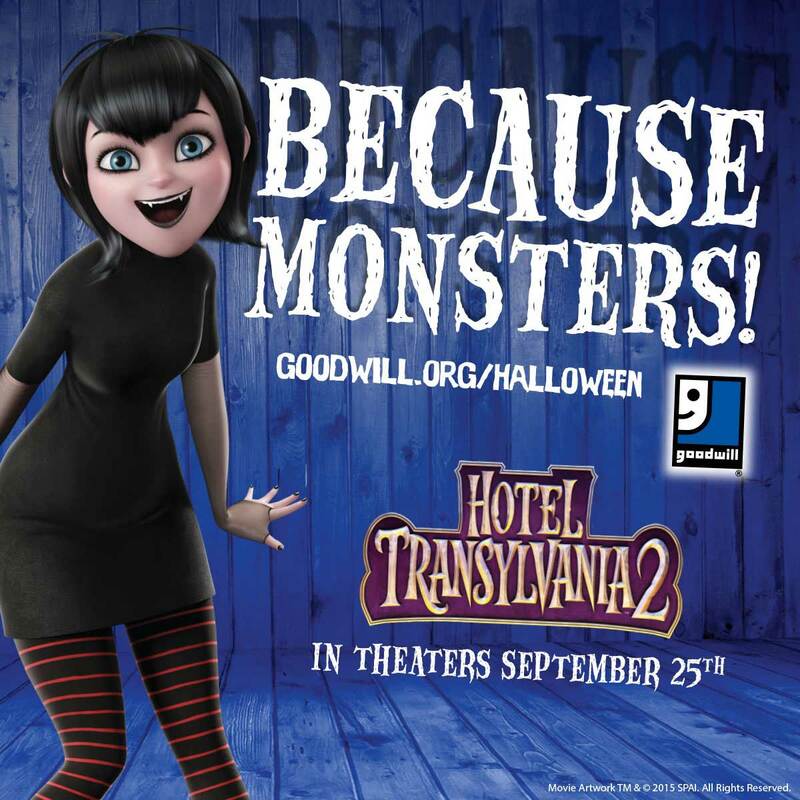 The partnership includes a radio and television campaign, which will join the Goodwill brand with the world of “Hotel Transylvania 2.” Characters from the film are featured in the ads, encouraging people to shop at Goodwill for Halloween. There will also be partnership events in up to 50 markets across the nation. 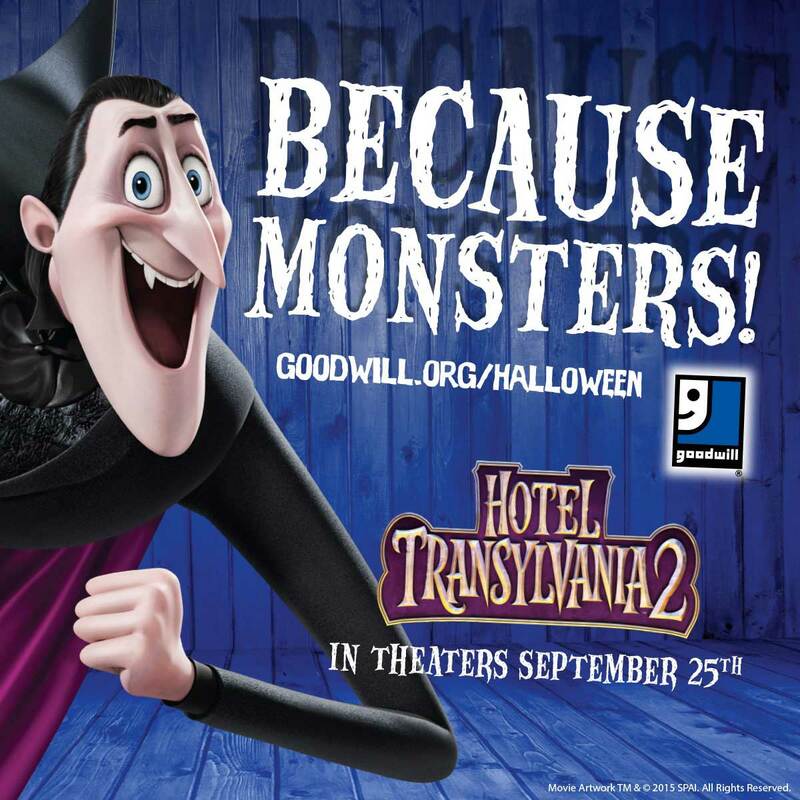 Shoppers can support Goodwill by making it their go-to Halloween destination, and the revenues from their purchases will help fund employment services in their local communities. Visit goodwill.org/Halloween to learn more about local partnership events, to generate costume ideas and more. Goodwill enhances the quality of life of individuals and families by helping people reach their full potential through education, skills training and the power of work. Local Goodwill agencies meet the needs of all job seekers through a variety of workforce development offerings, including programs for youth, seniors, veterans and their families as well as people with disabilities, and other disadvantages to finding employment. Goodwill trains people for careers in industries such as banking, IT and health care and provides the support services they need to be successful, including English-language training, credentialing, financial education, and access to transportation and child care. 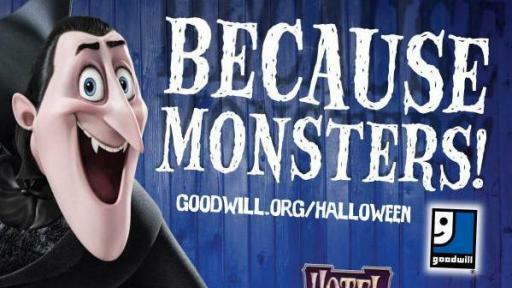 For more information, visit goodwill.org/halloween or follow GoodwillIntl on Facebook and @GoodwillIntl on Twitter. In Genndy Tartakovsky’s Hotel Transylvania 2 from Sony Pictures Animation, Drac’s pack is back for an all-new monster comedy adventure! Everything seems to be changing for the better at Hotel Transylvania... Dracula’s rigid monster-only hotel policy has finally relaxed, opening up its doors to human guests. But behind closed coffins, Drac is worried that his adorable half-human, half-vampire grandson, Dennis, isn’t showing signs of being a vampire. So while Mavis is busy visiting her human in-laws with Johnny – and in for a major cultural shock of her own – “Vampa” Drac enlists his friends Frank, Murray, Wayne and Griffin to put Dennis through a “monster-in-training” boot camp. But little do they know that Drac’s grumpy and very old, old, old school dad Vlad is about to pay a family visit to the hotel. And when Vlad finds out that his great-grandson is not a pure blood – and humans are now welcome at Hotel Transylvania – things are going to get batty! 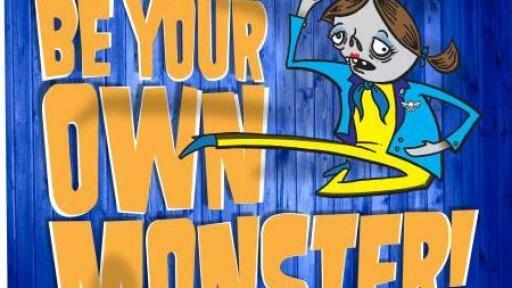 The film is directed by Genndy Tartakovsky, written by Robert Smigel & Adam Sandler, and produced by Michelle Murdocca.